This region is situated between the international airport and the beginning of downtown or Central Vallarta. Starting at the airport it extends south along the coastline, including Marina Vallarta, the Hotel Zone and then meeting up with downtown Puerto Vallarta. It is the most concentrated region for hotels and real estate condominiums for sale you'll find in the area, and it also provides easy access to the airport, shopping, medical facilities and downtown Vallarta. Marina Vallarta began with a dream of creating a new level of life on Banderas Bay, where sailboats, yachts, and fishing craft could count on a safe harbor. Today, Marina Vallarta is a planned real estate community including both homes and condominiums, a shopping mall, a school, condominiums and first-class hotels, with landscaping throughout. 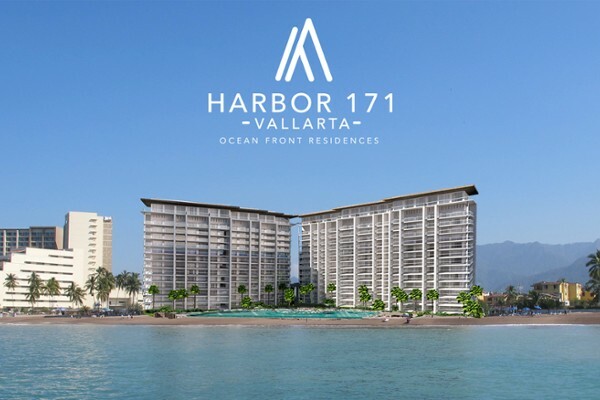 Marina Vallarta's real estate opportunities include marina, oceanfront and fairway homes, and condominiums, with oceanfront condominium towers being the newest development. Work on the marina itself, with 450 boat slips, began in 1986. And by 1990, the marina was in full swing, even though it was 1993 before it was completed (ahead of schedule). Now, there are high-rise condominiums along the shoreline, marina-front condos, and homes and small development condominiums for sale along the fairways of the Marina Vallarta golf course. It’s an excellent location that’s close to the airport and not far from downtown Puerto Vallarta and shopping available close by at Plaza Marina. Along the coastline from Marina Vallarta and the cruise ship terminal, is the Hotel Zone, lined with, of course, hotels, but most recently a number of condominiums high-rise towers (Grand Venetian, Peninsula, and Icon Vallarta) that offer spectacular views of the whole bay including downtown Vallarta. Most of the region's shopping centers are situated within the Hotel Zone along the access highway, with many new one's planned for the future or under construction. It has become the place to go to shopping. As Vallarta has grown, however, there has been extensive development behind the shoreline heading inland, within two sub-regions we refer to as Rio Pitillal Arriba and Rio Pitillal Abajo. Situated here are developments such as Fluvial and Versalles and towns such as Pitillal, along with residential neighborhoods of differing ages and affluence, well-serviced by a number of shopping centers and stores, such as Sam’s, Wal-Mart, Soriana and Costco. Fluvial is the newest development, offering reasonably priced single family dwelling homesites, condo developments and commercial lots. Easy access, situated half-way between the airport and downtown. Medical facilities located very close by. Plenty of shopping opportunities as most malls are in this region. Lots of restaurants with downtown just a few minutes away. Great variety of real estate options available, regarding price, type and location. Marina Vallarta with a marina and golf course, plus Vista Vallarta courses close by. Oceanfront condo towers offer spectacular views of the bay. Airport is just minutes away, as is downtown Vallarta. Traffic can get busy, as can access to neighborhoods coming off the main highway.